Welcome to SEO 101 for cleaning companies. 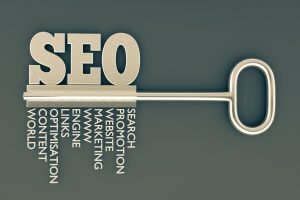 Search Engine Optimization (SEO) is a marketing tool used to increase your cleaning company’s website appearance in online search engines, such as Google. A good SEO strategy will generate more traffic to your cleaning company’s website. There are many aspects of SEO, from the content and keywords on your pages to the links that are built. Spot On Solutions is here to help your cleaning company understand the basics of SEO. Search engines like Google are the primary method of navigation for most online users. They provide targeted traffic, making your cleaning website easier to find. If these search engines can’t find your cleaning website, or add your information to their databases, you will miss out on all of that additional traffic. It is like putting your cleaning company in the middle of a forest with no road signs or directions to find you. Search engines are more sophisticated than they used to be but they still can’t see and understand a cleaning website the same way a person can. When building an SEO strategy you want to make sure you are focusing on your targeted audience as well as search engines. When users make a query in that search box and find themselves on your cleaning website, will they be happy with what they find? It is essential that you research who your target customers are, what their needs are and how your cleaning company can fulfill those needs. The same principles are used for all major search engine operation. Automated search bots crawl the internet, following links and indexing content to massive databases. Their artificial intelligence helps them accomplish this but just like Oz search engine technology is not all powerful. There are plenty of limitations that can cause significant problems in rankings and inclusion. The following are just a small fraction of limitations. Issues with Search Engine Crawling and Indexing. Duplicate Pages. Search engines will ignore duplicate content. Considering it low quality or as spam. Online Forms. Completing forms, such as a login, is not something search engines perform well. Most content contained behind forms will stay hidden. Poor Links. If your cleaning company’s website link structure is hard for search engines to understand, they will not index most of your websites content or the content found may be deemed unimportant. Mixed Signals. If the title of your blog is “The Best Carpet Cleaning in San Antonio” but the article itself is about janitorial services in El Paso, you are sending confusing signals to search engines. Make sure your titles are relevant to your content. Keywords can make or break your website’s rankings. By researching keywords that are relevant to your markets demand you will learn what terms and phrases to target with SEO and you will learn more about your customers. This helps you reach your goal of attracting the right kind of visitors to your website. How much is a keyword worth to your cleaning website? Do you get more sales from people searching for “carpet cleaning” or “janitorial services”? Companies like Spot On Solutions specialize in keyword research and have the tools to find this information. Unfortunately, the tools that are available can’t show us directly how valuable it is to receive traffic from those searches. We need to understand your website to understand the value of a keyword. That is why we follow a classic web marketing formula. Classic Web Marketing Formula: Hypotheses, Testing, and repeat. Images. Add all text for your images. Providing alt text on images provides search engines a text description to of visual content. Flash or Java. If you are set on having Flash or Java, provide addition text on your page for search engines to index. Video and Audio. If you have words or phrases in video or audio formats that you want to be indexed make sure you provided a transcript for search engines to find. If your cleaning company is looking for SEO contact Spot On Solutions! Don’t pull your hair out trying to understand the ins and outs of SEO on your own! Our professionals are highly trained and can help you create the perfect SEO strategy for your cleaning website!